They had to wait well over 365 days, but it sure was worth it. No. 1 nationally-ranked Blair Academy got its long-awaited revenge on No. 4 ranked Bergen Catholic Saturday night as the Bucs took it to the limit and wiped out the Crusaders, 45-20, at Lehigh University. The Bucs won 10 of the 14 bouts and got major bonus points thanks to pins by Josh Gobencion, Domonic Mata, Julian Ramirez and Daniel Wask. The win comes a year after Bergen Catholic defeated Blair, 33-19, in Oradell to capture the Who’s No. 1 Duals title. It was the first time Bergen Catholic had ever defeated Blair. 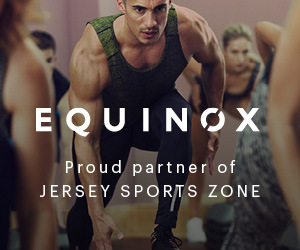 Jersey Sports Zone was able to be on hand for this match between two nationally-ranked high school teams thanks to Equinox Fitness Clubs, JSZ’s sponsor for Bergen Catholic!